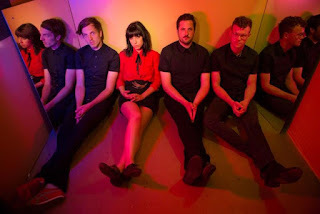 Deep Sea Diver - Secrets. The Goldhearts - Here's The Thing. Background - The Goldhearts have had a big year. Not only did they master playing in a band with an interstate guitarist. They released their first single “On The Run" which received weekly spins by iconic Los Angeles DJ KROQ Rodney on his show Rodney on the Roq. 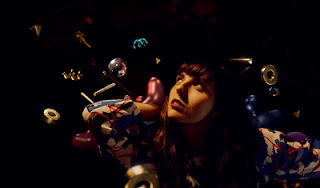 The single was also embraced by community radio and received regular spins on SYN, ZZZ, Radio Adelaide and others. So here' the thing... The Goldhearts are about to release their second single called "Here's the Thing”. "It's short and sharp" says Margy, the singer/guitarist and "a change in mood from the country swagger of our first single ‘On the Run’. 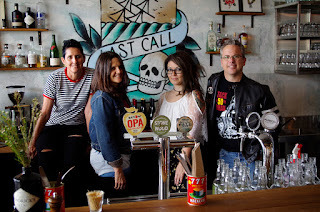 The track highlights the punchier grittier side of The Goldhearts but with the same hooks and melodies that they are becoming known for as well as saluting the bands of the nineties where they draw their inspiration. 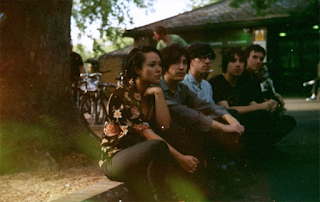 The Pains of Being Pure at Heart - Hell. And Kip and the band tells us - A couple months ago I posted a demo for the song "Hell" and some people said, "why don't you record that for real?" So we went over to my friend Danny's studio (House Under Magic) and recorded the track along with two cover songs - "Ballad of the Band" by Felt and "Laid" by James as a way to mark our forthcoming tour of Japan. The latter has lead vocals by Jen Goma, who sang on our last album and also performs with the excellent pop contortionists, A Sunny Day in Glasgow. The Felt song is really the UR-Felt song, the wry articulation of what Felt is most famous for - not being an eighth as famous as they ought to be. The song "Hell" is about how insufferable performances of sensitivity are when there's a good song playing and someone you want to dance with. Those promo words - If songs are like children, it’s important to fend off favouritism… but perhaps there is something a little special about Frøkedal’s latest, ‘Kid’. The single is paired with news of Frøkedal’s forthcoming debut album ‘Hold On Dreamer’ – a ten-track offering, slated for release on February 26, 2016 via Propeller Recordings. “Kid opens with a depiction of a young child who falls asleep under the table during a family party,” explains singer/songwriter Anne Lise Frøkedal. It all seems conventional enough, before the track takes a somewhat poignant turn: “It turns out that this is only a made-up memory because all the photos of the child have disappeared along with the family's recollection of him”. 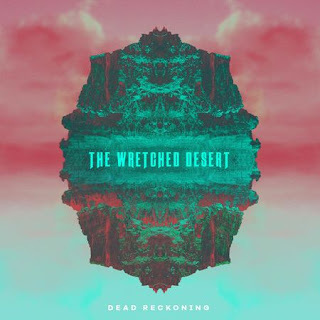 The Wretched Desert - Dead Reckoning. Background - Zach Lind of Jimmy Eat World and wife, Holly Lind, dreamt up The Wretched Desert one day when they decided to turn their living room into a music room. When they realised how good the acoustics were in that room, Zach began recording himself playing drums then added more and more instruments while Holly laid down vocals and, alas, their debut EP Street Lights came to fruition. Following Street Lights, the duo continued to cook up some living room tunes during the off season of Jimmy Eat World’s tour schedule that turned into sophomore EP set to release November 13th. 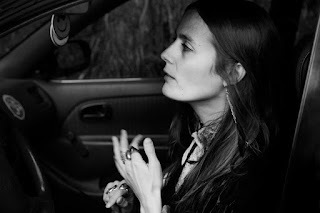 Recently, The Wretched Desert happily offered the EP title track, “Dead Reckoning”, as a taste of what is to come. Zach explains, “As we were writing Dead Reckoning, we couldn’t help being reminded of the hockey scene in Strange Brew. This song is our ode to the McKenzie brothers from whom we’ve learned so much about the mysteries and secrets of being human”. Funktionslust - Unstable (Dro Carey remix). Background - Funktionslust announce their 'Window' EP will be released 20th November. You can pick up hints of all sorts of diverse sounds in Funktionslust’s music, from technoid rhythms to glacial coldwave-esque atmospheres, but they bring these styles into a hyper-modern sound world that is distinctly their own. 'Window' is the duos tightest, tensest most compulsively listenable offering to date. Funktionslust formed in London, when Sage Redman and Joe Gillick met in their first year of university, bonding immediately over their love of idiosyncratic pop (St. Vincent, Owen Pallet, Tune-Yards, Cocteau Twins etc.) Originally, Sage grew up in Seattle – her parents were “super unmusical”, but her uncle had connections to the grunge scene. Joe, on the other hand, grew up in London, where he was exposed to the music of grime crews like Ruff Sqwad and Roll Deep.